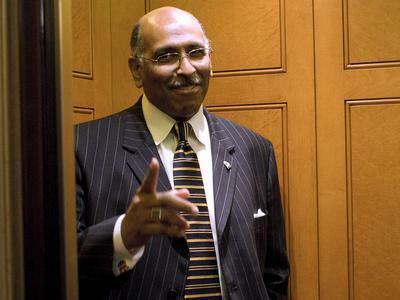 Former RNC Chairman Michael Steele‘s tumultuous tenure as head of the national GOP was marked by his tendency toward outspokenness, a tendency that earned him little reward. Since he become a contributor for MSNBC almost a year ago, however, that tendency has become an asset. Although still a strong critic of President Obama, the Chairman isn’t afraid to tell uncomfortable truths about his own party. In the last part of our exclusive interview, Chairman Steele discussed the economy and jobs with me, and talked at length about what President Obama has done right. Interviewing Chairman Steele was a real pleasure, and an unexpected one. When you deal with as many press-wary media personalities, PR people, and press reps as I do, you become accustomed to canned, guarded responses, broken up by the occasional pliers-extracted nugget of authenticity. Michael Steele, however, is a man who is not afraid to talk to you, even if you’re an avowed liberal, and our conversation reminded me a lot of those I’ve had only in private, over copious quantities of liquor, with conservatives at CPAC. I’m no closer to agreeing with him, or them, but at least, we understand each other a bit better. In the last part of our interview, in two parts below, we discussed the economy, and I asked Chairman Steele why the American Jobs Act was a bad idea, and what he thinks President Obama has done well.